Joining Tara for the Monday Made It! Like most schools, one of our lockdown procedures is to cover the window in our classroom door. We have long skinny windows. Most of us just slap up some construction paper that has been taped together! I kept thinking there has got to be a better solution! One of my projects has been to create a covering for the window that is a bit more attractive and easy to cover as soon as lockdown begins. Here is my Monday Made It project! I actually bonded the ends of the ribbon so it wouldn't fray. I'm going to use the sticky backed velcro to attach it to the door. 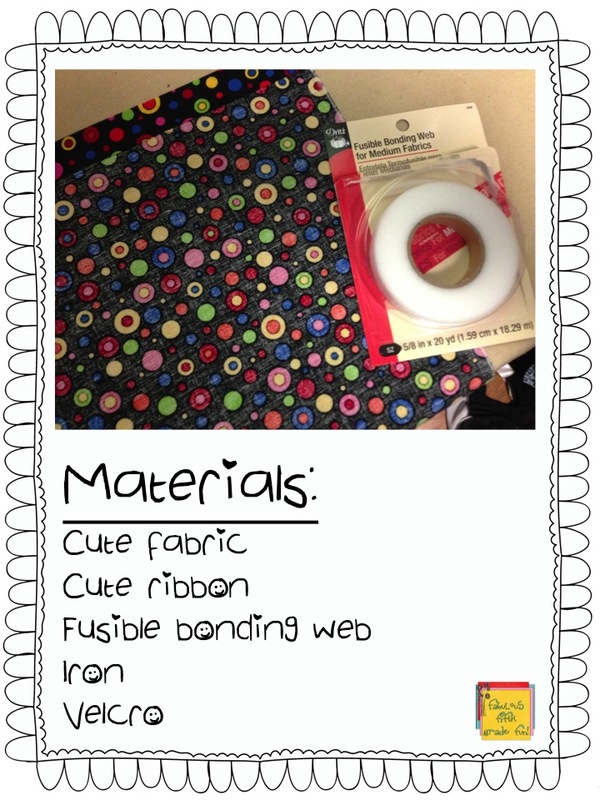 I will probably use the bonding strips to attach the other part of the velcro to the material. Super cute and super safe! No more construction paper! 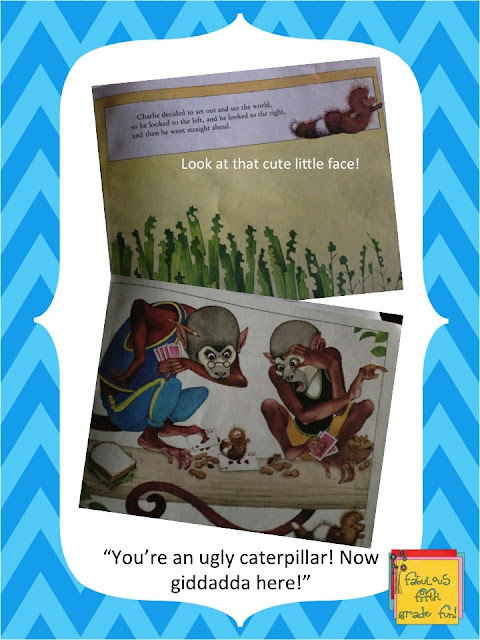 I wanted to share one more book for mentor text linky - back to school. This book is precious and darling! I always get choked up at the end due to it's sweet ending! 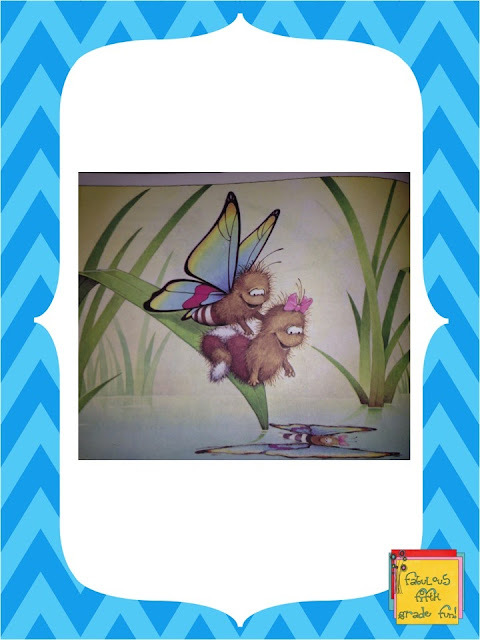 He stumbles upon Katie Caterpillar and explains what life will be like...very soon! Wait for it...wait for it!!! Look at this next picture!!! Gets me each time I read the book! This is when we have our discussion about "Inclusion, not Exclusion!" 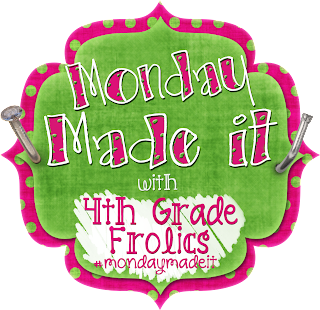 Head on over to the first Monday Made It for July! 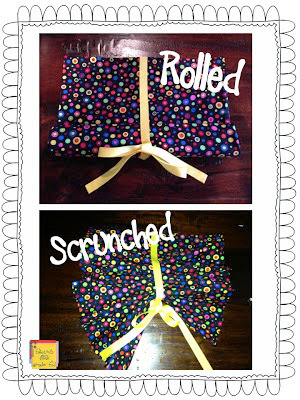 I can't wait to see the crafty things everyone has been up to lately! Where did you get the fabric?! 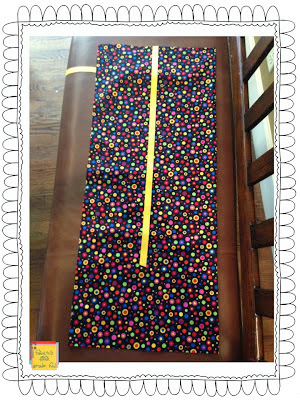 I've been looking for a good pattern to make a table skirt for my kidney table! JoAnn Fabric and Craft Store! They have such fun stuff! 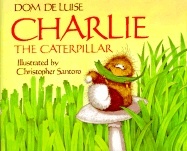 I just 'awww'ed my way through the pictures of 'Charlie the Caterpillar! Such a sweet story...and I have a son named Charlie, so I'm a sucker for any 'Charlie' stuff :) I'm going to have to add it to my (miles long) Amazon wishlist! 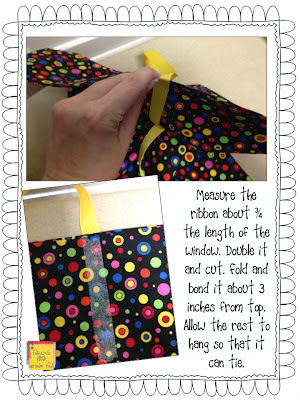 I love the curtain idea too...much cuter than taped together construction paper! My dad was (he passed away) a Charles and they called him Charlie! Love the name! 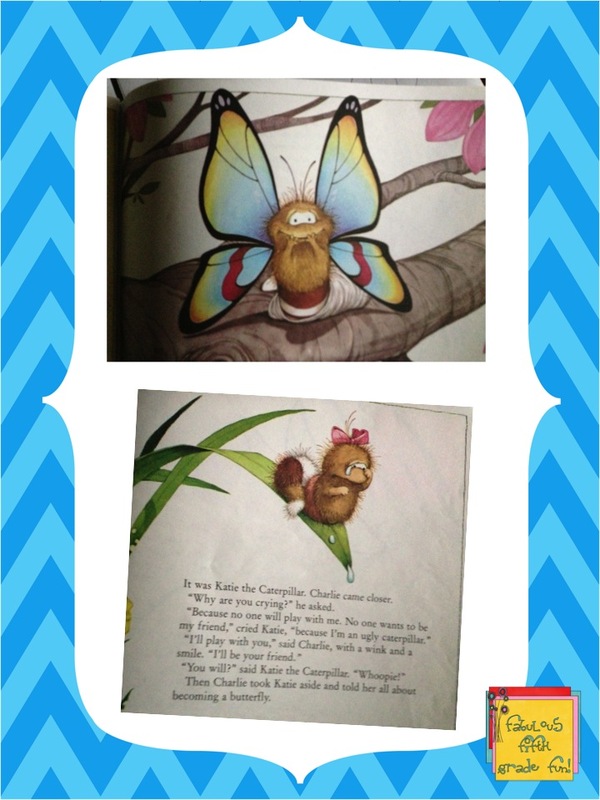 I just think Charlie the Caterpillar's face is just precious! Lots of emotions! 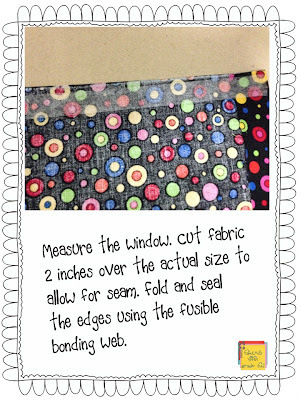 Love your window curtain. 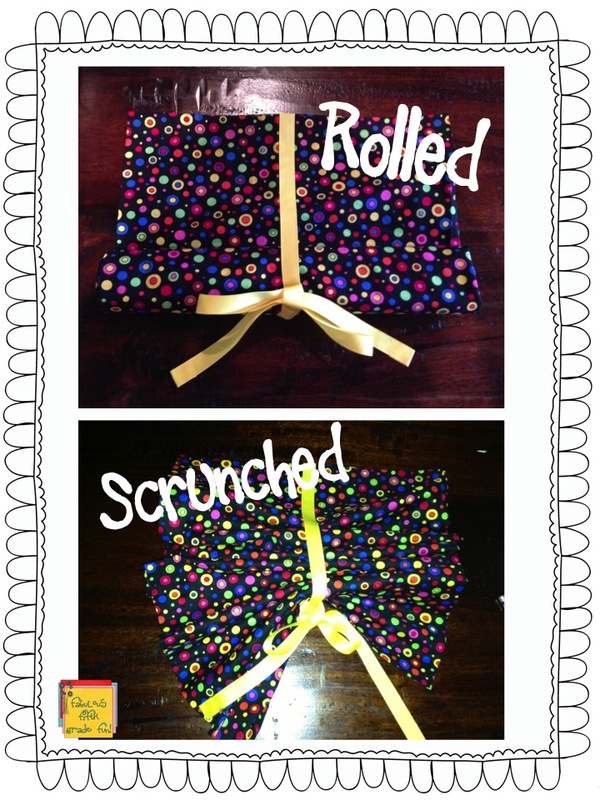 I just had one made that uses the exact same fabric! Crazy! Can't wait to get it hung in my classroom! 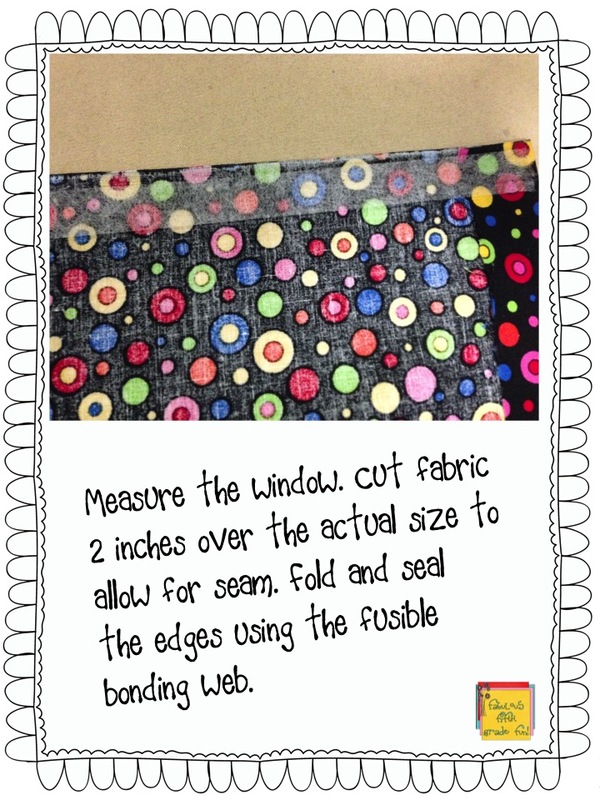 Your window curtains are such a great idea and will look so much better than construction paper. I just pinned it so I will remember to so some that will go with my room. I think I even have some fabric left from a table skirt last year. Thanks for sharing. That's exactly where I got my fabric from...it was left over from covering some shelves! No more pink paper slapped together with masking tape! I'm changing rooms to an office...no window..yet! I'm making these for my (sniff-sniff) former team. I'm waiting to see what kind of window is put in my door! 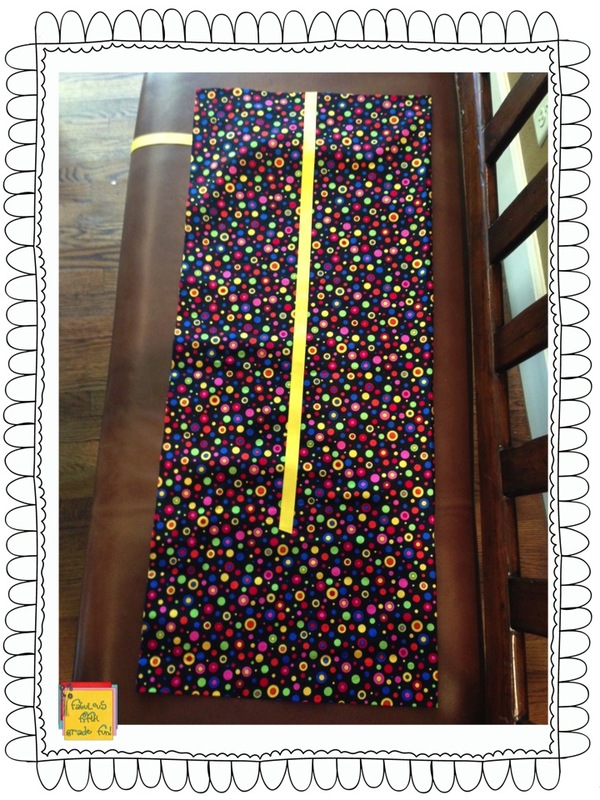 I've got some really cute popcorn themed fabric! I'll be posting pics of my office area soon! Great idea for your window! Thanks! Wanted to do it all year...just never found time! Wow! I'm sure it is very scary! I have between 25-27 students. I can't hide all of them out of the window view. Too bad they can't modify that protocol!